CONSTRUCTION of a permanent road through Pioneer Park is expected to start by the end of the month. After a discussion at Thursday night's council meeting, the recommendation to accept a report stating the project's documentation and preparation work has been finalised was passed. Most vociferous in the argument against was Cr Sally Townley who asked many questions of council's general manager Steve McGrath and the Director Sustainable Infrastructure Mick Raby on the issue. Cr Sally Townley asked if the recommendation to council was that the project's documentation had been finalised, why hadn't councillors seen anything more than the concept plans shown during a briefing in September. Cr Garry Innes said the time for arguments against the building of the road was on September 24 when council voted that it correspond with Gowings and the CBD Masterplan Committee with an invitation to bring forward the total completion of the road construction and park facility as suggested in the concept plan. Cr Innes also argued that Coffs Harbour's current traffic management plan outlines the need for a permanent extension of Duke St to Harbour Dr within the next 10 years. He added that by building a permanent extension of Duke St now, council will be able to save money as Gowings is contributing close to $200,000 towards the cost of the road reconstruction work. "That's a lot of ratepayers' money and it's something that I personally as a councillor can't overlook," Cr Innes said. An argument that was supported by the votes of councillors Keith Rhoades, John Arkan and Denise Knight. The need for at least a temporary road through Pioneer Park has come about due to the reconstruction of the intersection at Gordon St and Harbour Dr where the current roundabout will be removed and traffic lights installed. The removal of the roundabout is felt necessary as a flood mitigation action as the Gowings development along Gordon St includes a raised footpath. 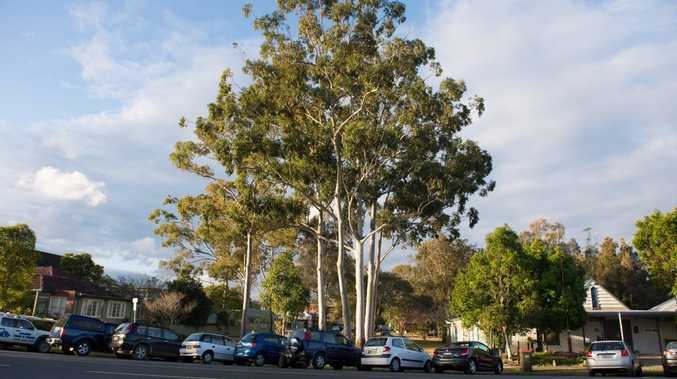 Extending Duke St south requires the removal of five flooded gum trees from Pioneer Park which are within mapped primary koala habitat. Questions from Cr Townley continued to centre around the accuracy of the environmental impact assessment and Coffs Harbour Koala Plan of Management. She also raised concerns that a failure for councillors to be shown the final Pioneer Park plans amounted to proper process not being followed and that a failure to do so placed council in a vulnerable legal position. A claim refuted by the Director Sustainable Infrastructure. Although receiving the supporting votes of councillors Nan Cowling, Bob Palmer and Mark Sultana, the planned roadworks as voted in September will continue. Cr Townley was clearly disappointed at the decision saying after the meeting the Pioneer Park issue had been tested against public opinion, process and as a koala issue and was found wanting on each occasion. "Council is sending a message that it doesn't follow its own guidelines and processes and it doesn't send a message that council in anyway values the future of the koala population," Cr Townley said. "Late last year council resolved to in fact not to put a temporary road there (Pioneer Park) but a permanent road there. This is a huge cost saving to the community. Within five years our traffic management reports are telling us that that road will be required. In five years time the road will be built. It will be built without the financial assistance as per the D.A with Gowings." "The resolution has been made. The road has been decided. All we have to do tonight is noting it (the report) and I think that should be the formation of the debate tonight. "It (a final design) was never part of any business paper at the meeting of September 24 last year and it's not actually contained in this business paper and I'm not aware of it being formally transacted business of council. Normally when we have a business item that refers to a block of land or a proposed construction, we're provided with maps, diagrams, schematic plans, engineers drawings etc. And this item contains not one planned diagram or any other schematic information upon which we are expected to base our decision." "If you care to read the Koala Plan of Management you will see that the consent authority, which is us, shall not grant consent to the carrying out of development on areas identified as primary habitat which will remove the following trees blah, blah, blah including flooding gum unless the development will not destroy, damage or compromise the value of the land." "We've failed to address our own management guidelines and therefore legally we cannot give development consent to this proposal. If we also do it without seeing a plan, seeing costings then we're further derelict in our duty." "The matter has already been decided in terms of what's going on there given the resolution last September. This is merely an update on the status of that project. The concept plan that councillors had seen in briefing was endorsed as a project." "The funding of the Duke St extension is included in the Masterplan Committee program as part of capital works and funded under the CBD Special Rate. It's been sitting there for some time in accordance with the Masterplan." "I thought the idea was that we were going to talk to Gowings to come up with a plan that will be a permanent roadway. I'll be honest I'm quite in favour of a permanent roadway but what I want to see is us do it the correct way." "It is not normal that we would bring back a detailed design for a road to council for approval because that's done as part of the normal day-to-day management and operation." "When I say about halting the progress it's about another attempt that comes forward to stall the growth and the movement of this great city. We've seen it before. In 1993, people here who have been here for more than that time will recall you used to have drive down the highway and stop at those traffic lights just over here to turn left into Coff St. And then the engineers at the time came up with 'well let's put that slip lane in that will keep the through traffic on the Pacific Hwy going straight'. Guess what? There was one tree in the middle of that slipway which everybody, hundreds if not thousands of people use every day to be able to get off the highway and get access to that part of town down to Gordon St and so forth. What happened? The council approved it and by the following Tuesday or Wednesday it's never been spoken about since." ** This is a selection of only a few of the comments made during discussion of the matter at the ordinary meeting of Coffs Harbour City Council held on Thursday, February 11.